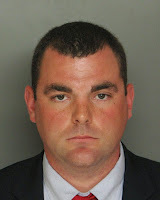 AFRICAN AMERICAN REPORTS: ANOTHER white South Carolina police officer arrested for killing an unarmed black man. ANOTHER white South Carolina police officer arrested for killing an unarmed black man. A white public safety officer in South Carolina who fatally shot a black man after a 2014 car chase has been arrested on a felony charge, the state’s Law Enforcement Division announced Tuesday. Justin Gregory Craven, a 25-year-old North Augusta public safety officer, was charged with discharging a firearm into an occupied vehicle in the February 2014 death of Ernest Satterwhite. If convicted, Craven could go to prison for up to 10 years and face a fine of $1,000. According to investigators, after Craven attempted to make a traffic stop for a suspected DUI, Satterwhite, 68, led the officer on a car chase from North Augusta to Satterwhite’s home, miles away in Edgefield County. There, investigators say, Craven fired repeatedly through the driver-side door of Satterwhite’s car after Satterwhite had stopped in his driveway.